The Volkswagen Beetle is an iconic car and some rock stars have probably driven them (especially the original Beetle). And now the German automaker has infused the rock and roll formula into one of its newest models, the current generation Beetle. Volkswagen will introduce a special edition Beetle at the Leipzig Auto Show and it will be known as the Beetle Fender Edition. The car was first seen as a concept car at the 2011 Frankfurt International Auto Show. The car will get several Fender-unique features which demonstrate its affiliation with the American musical icon. Many would know about Fender as one of the major producers of guitars and its accessories and many professional musicians such as Eric Clapton and Jimi Hendrix have used their products. The company recently expanded into the car audio business by teaming up with Panasonic to produce sound systems for Volkswagen. 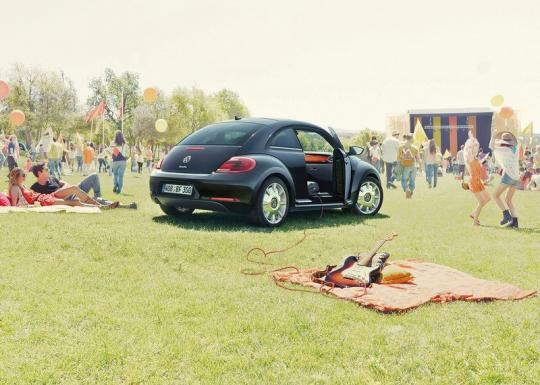 The Beetle Fender Edition stands out with unique interior and exterior styling. Its distinctively painted dashboard features the classic sunburst colour of Fender guitars, and the vehicle's interior is accented with colour-contrasting seams that complement the dash's colours. Beetle Fender Edition vehicles equipped with the 200-horsepower 2.0-liter turbocharged four- cylinder TSI engine will receive seats with exclusive fabric inserts. 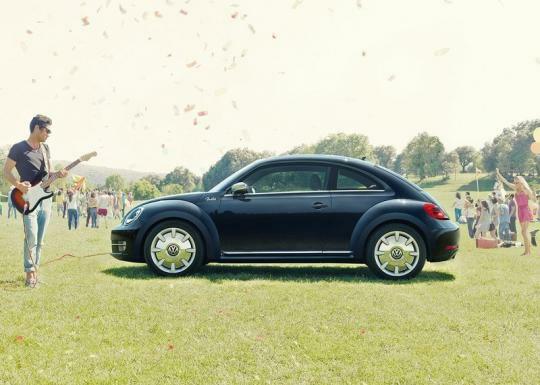 Outside, all Beetle Fender Edition vehicles are painted in Deep Black Metallic and also feature brushed chrome exterior mirrors, 18-inch "Disc" aluminium-alloy wheels, bi-xenon head lights, and the famous Fender logo. 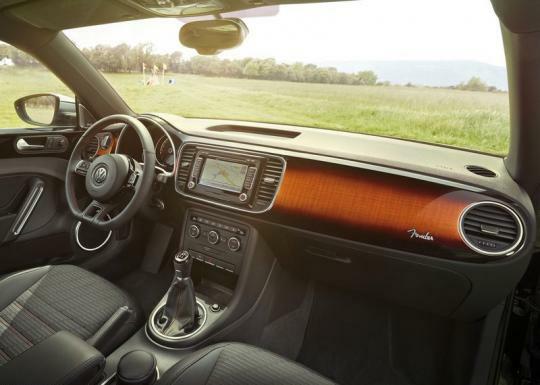 The Fender Premium Audio System debuted in the Jetta GLI in the United States and the Beetle is the first Volkswagen vehicle in Europe equipped with the high-performance sound setup. Using proprietary Panasonic speaker technology, the system cuts through noise and other distractions with front dual-voice coil speakers to create a sound closely similar to a true, live performance. 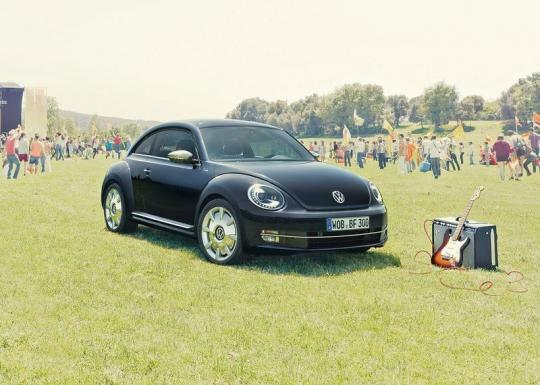 The Beetle Fender Edition will first go on sale in Europe and will be available in America in the third quarter of 2012.